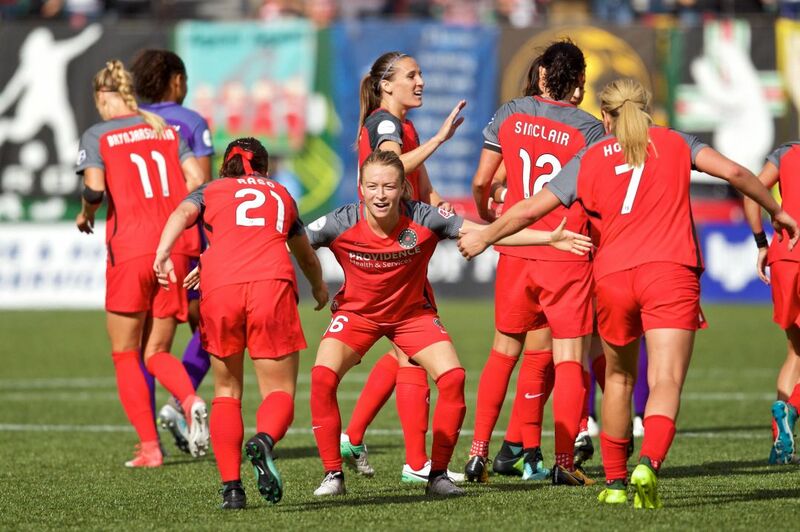 Emily Sonnett celebrates with teammates at the Thorns' semifinal match against the Orlando Pride. Image: Craig Mitchelldyer/Portland Thorns FC. 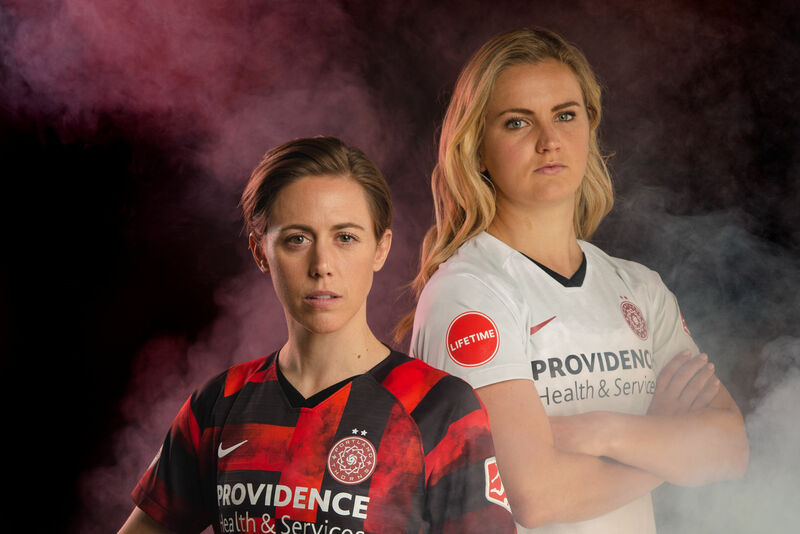 If you haven't tuned into a Portland Thorns match this season, Saturday is your last chance, as the Girls in Red head to Orlando to take on the North Carolina Courage in the NWSL championship. A brief primer, for you newcomers: the Thorns, Portland's professional women's soccer team, won the first-ever championship in the National Women's Soccer League five years ago, in 2013. For reasons that are difficult to completely pin down, Portland is the center of the women's soccer universe. The Thorns routinely draw 18,000 fans: more, by an order of magnitude, than any other team in the league—making them by far the best-supported women's club team in the world. 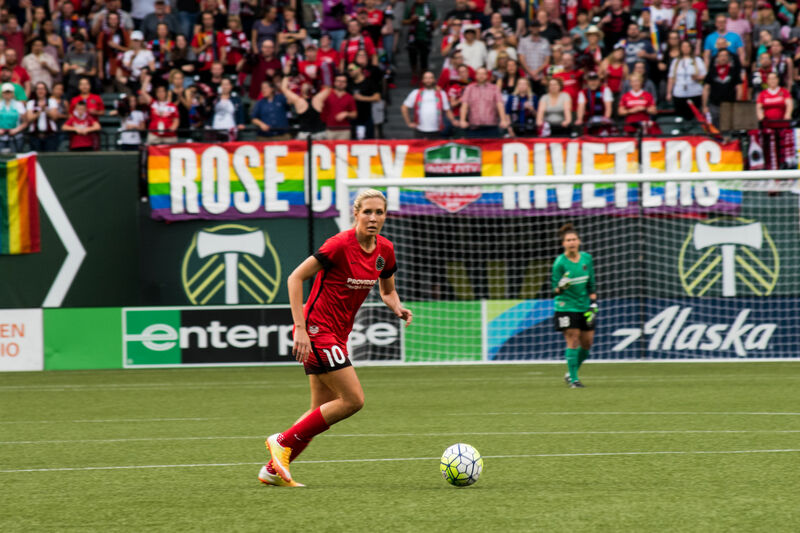 Soccer writer Gwendolyn Oxenham, who features the Thorns heavily in her new book, calls Portland "the promised land." Head coach Mark Parsons, who arrived in 2016, has turned the Thorns into a defensive powerhouse. 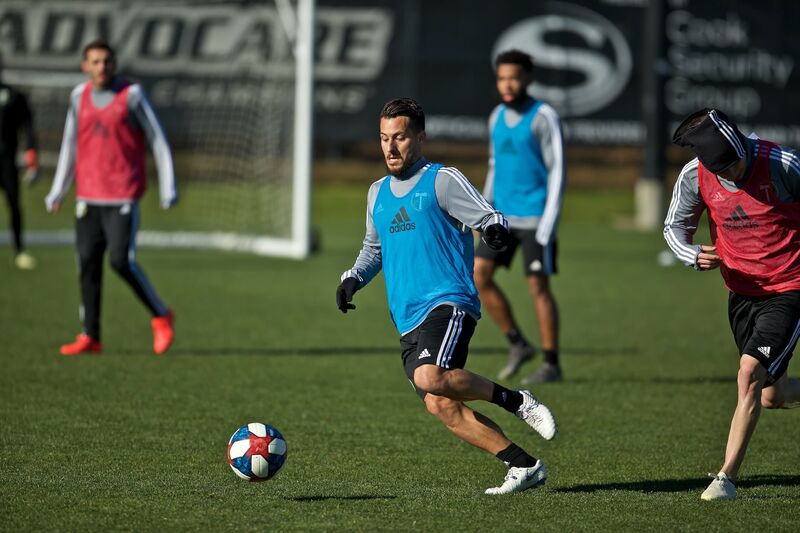 They've had the fewest goals allowed in the league for two seasons running, an accomplishment that last year brought them the Supporters' Shield—awarded to the team with the best regular-season record—and has carried them to the final this year. "The whole team defends," said Parsons on Tuesday. "The whole team's responsible for making sure we work hard and we limit the opposition to a few opportunities... And this group's fallen in love with stopping this ball going in the net, just as much as we love putting it in the back of the net." That's to say nothing of some of the offensive firepower on this team. If you've heard of one Thorns player, it's probably the crafty, creative Tobin Heath, a five-year veteran of the team who also scored for the US in the 2015 World Cup final against Japan. There's also Christine Sinclair, an absolute legend in the sport who captains the Canadian national team and has been in and out of Portland since her days at the University of Portland, when she won two titles with the Pilots. Then there's Hayley Raso, the explosive young Australian who's had a breakout season with the Thorns. She scored her first NWSL goal back in June, and hasn't looked back, notching six in the regular season (Raso's easy to find—look for the red ribbon). For the Thorns, the game is something of a grudge match. Last year, the Western New York Flash knocked them out of the playoffs in a thrilling but painful semifinal loss at home. In the offseason, the Flash were sold, moved to North Carolina, and renamed the Courage—but remain essentially the same team. And make no mistake: the Courage are good. After beating the Thorns last year, they went on to win the championship, and this year, they won the Supporters' Shield. They've got offensive threats all over the field, from rookie of the year candidate Ashley Hatch, to attacking fullback Taylor Smith, to the ridiculously fast Lynn Williams, whose 2016 season with the Flash earned her an MVP award and a regular spot on the US national team. "This'll be a big step up, a big challenge," said Parsons. "I hope they face the best of us and I'm sure we'll face the best of them. It's a very tough, driven, athletic team to try to control, but we're going to give it a good go." If you can't make it to Orlando on such short notice, don't despair. The game is on Lifetime (yes, that Lifetime—the network has been doing surprisingly great game-day coverage all season) at 1:30 p.m. Pacific Time. 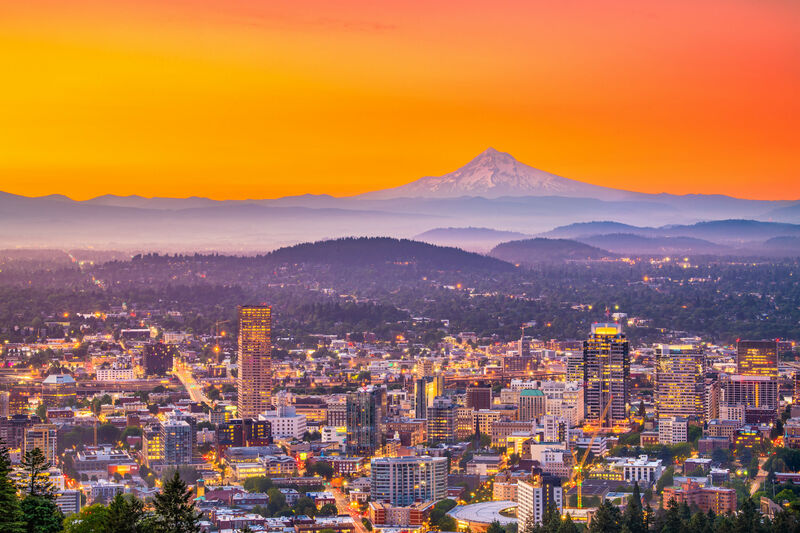 Plus, there'll be watch parties at Bazi Bierbrasserie, Kells Brewery on NW 21st, and a growing list of other locations around Portland and beyond.